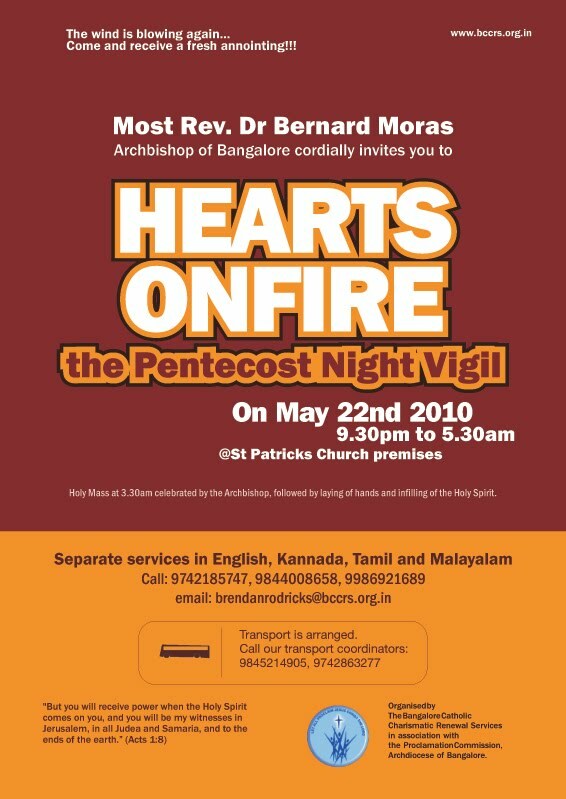 Pentecost promises to set your heart on fire! Ensure you are present at St Patricks to receive power from on high. 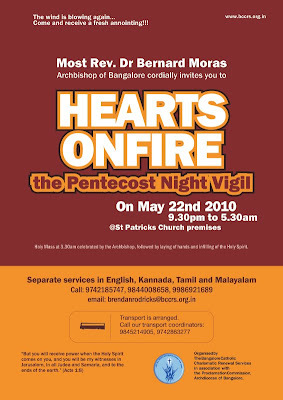 Inform others, spread the news... via a personal visit, or on your phone, send an email, make an announcement, bring the poor, tired, sick and weary. The wind is blowing again...come and receive a fresh annointing!! !